This beautifully paired singer-songwriter couple is a blend of heart, skill, honesty, and craft. 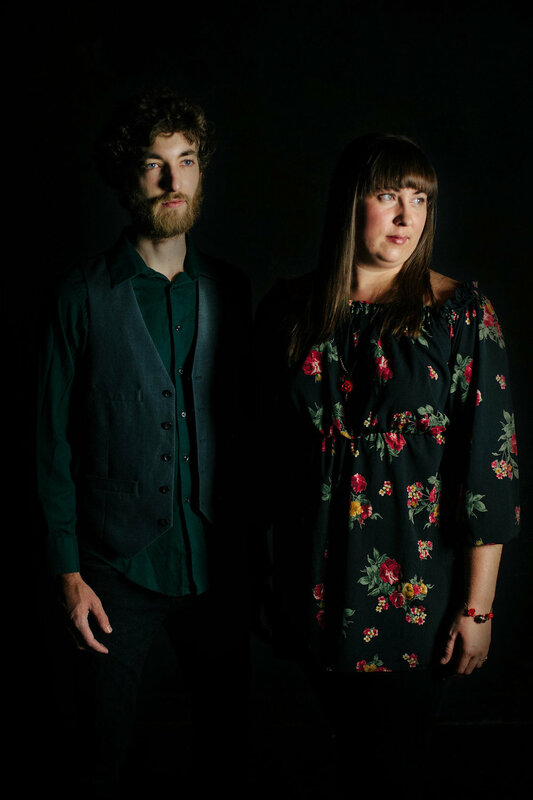 Sarah and Michael Bowman hail from Charlotte, NC, crafting music from their little home nestled in the woods. The unique melodies that flow out of them are colorful folk-influenced out-pourings-of-the-soul through guitar, piano, dulcimer, and voice. Their love for missions through music has captured their hearts more and more over the past few years. This summer of 2019, they will embark on their 4th missions trip to Europe, primarily Italy. They have a passion for cross-cultural worship ministry, youth ministry, evangelism, and want to see songwriters empowered to write songs for their Churches and as a tool to share the Gospel, hope, and healing to the world. Sarah, born and raised in the Queen City, was captivated as a little girl by her daddy's renditions of Bob Dylan, and Simon and Garfunkel tunes on one of his many guitars. She got her first guitar and has never looked back, quickly gaining the ability to lead worship at age 15. Currently she is passing along her passion for music as a private music teacher, songwriter, worship leader, and musical mentor. Michael began his musical journey playing piano at the age of 15. He developed an interest in composition and has recently pursued that craft alongside refining his talents as a recording and mixing engineer. In 2009, just before they got engaged Sarah gave Michael his first dulcimer which has opened up new melodic and rhythmic possibilities as Michael has studied and embraced this instrument. In 2008 they met while Sarah was working on her Vocal Performance degree at Winthrop University and Michael was working on his Math and Science degree at UNC Charlotte. Michael quickly knew after meeting Sarah, that she was the one for him. After a few short months they were married and quickly began crafting music together. The past three years they have tirelessly worked to master their crafts of recording, mixing, producing, and song-writing, along with playing shows locally and internationally, hosting song-writer gatherings, and establishing a musical mentorship group called City on a Hill Youth Band. In this season they have discovered and cultivated a unique voice and sound. They are very excited to have launched an expression of this, in their project “Make Room for the Sky,” released in October of 2016. And in 2017 they recorded and released their first Christmas album entitled "Wonder." The Bowman’s want to continue to pour into their local community as well as reach other communities by touring, connecting with creators, music-lovers, and kindred-spirits. Our second album released October 22nd this year. It is a project close to our hearts surrounding a powerful theme of the beauty of a winter season in our lives and the things we learn there. These are songs from our journey, stories, instrumentals, and worship anthems ripe for the listening.